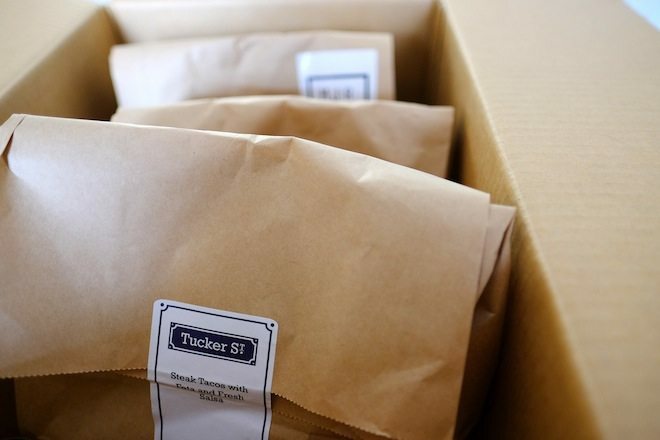 A few weeks back, we were gifted (very generously) a food delivery from our friends, Tucker Street. Our guest contributor David Shen, also the recipient talks us through his experience below and what you can expect if you use the Tucker Street service. Like most of us, I am a busy professional. We’re too engaged in spreadsheets and meeting schedules to bother with home cooked meals. Actually, that’s not true for me. I’m just super lazy, but it amounts to the same thing: I prefer to have someone do the cooking for me for not much more outlay than having to plan, purchase, cook, clean, rinse and repeat. The economies of scale simply don’t add up for those who live singularly or even doubly. However, my laziness should not be confused for a lack of appreciation for food. I love food. Food is great. It’s nourishing. It doesn’t judge you. It will stand by your side even if your team loses, and it literally fights the most savage of hunger. And as lazy as I am, I don’t want to eat out every day. I like to cook occasionally. I like the feeling of a home cooked meal, use of permanent crockery and cutlery and the simple pleasure of knowing what’s actually in my beef vindaloo. 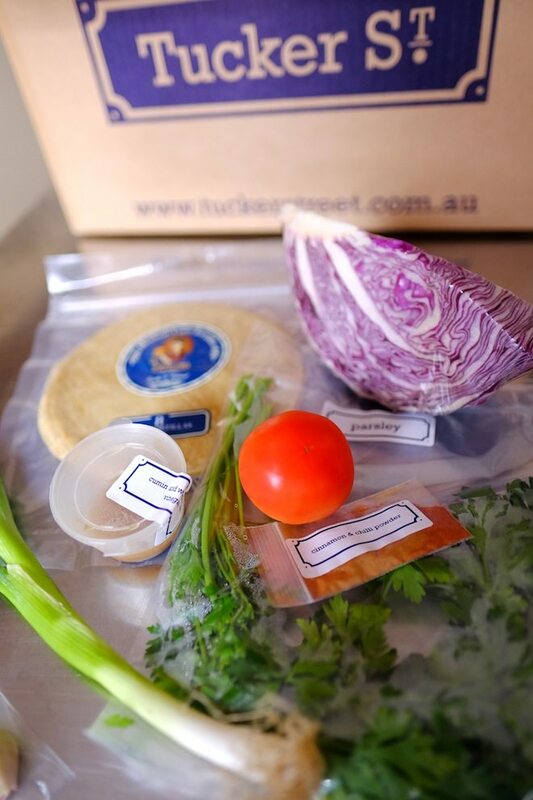 In steps Tucker Street: a Melbourne based food delivery service that solves these two problems in one fell swoop. 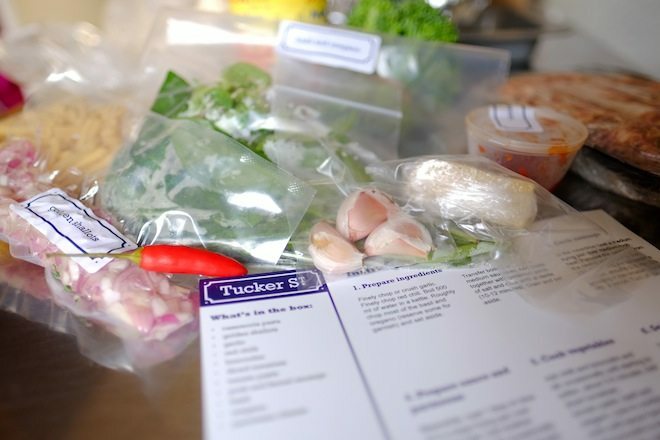 The concept is simple – delicious recipes in the form of fresh, proportioned ingredients, with simple instructions for meals cooked in under 30 minutes, delivered to your door. There’s no waste. It’s fast, it’s easy, and most importantly, it’s mindless. At 7:14pm on a Tuesday, when my brain has already switched into standby mode, it lacks the processing power to ponder what I want to eat that night. 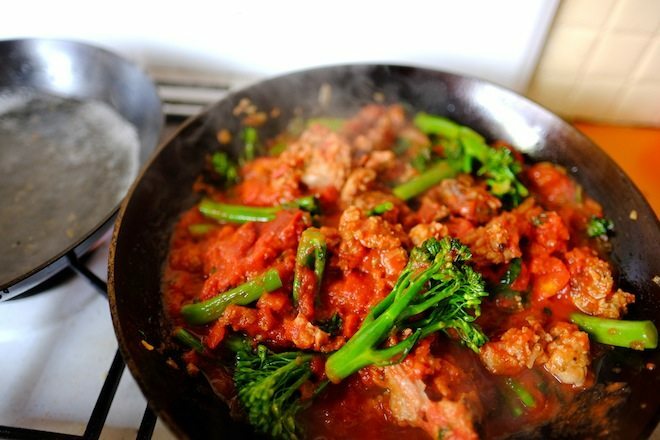 One should notice that at least 75% of the time spent preparing a meal is wasted on sourcing, preparing and portioning ingredients, and wondering how best to save two-thirds of a broccoli which, in all honesty, I wouldn’t consider for a meal for at least another week. By that time, it would’ve changed colour slightly and begun hosting a family of fungi related to, but is in fact an evil cousin of my preferred genus of mushroom, thereby banishing the entire plant to landfill. Food waste is a massive first world issue, and acutely compounded by small households. The goodie box that I received was well packaged, perfectly portioned into individual bags and in fact, served more than the 2 that was suggested on the instruction card. So I can save on lunch money too. The recipes are simple. Even a man as lazy as I can navigate my way around some fry pans and in much less than a biblical age, appear from the kitchen with edible creations that I could secretly only take partial credit for. 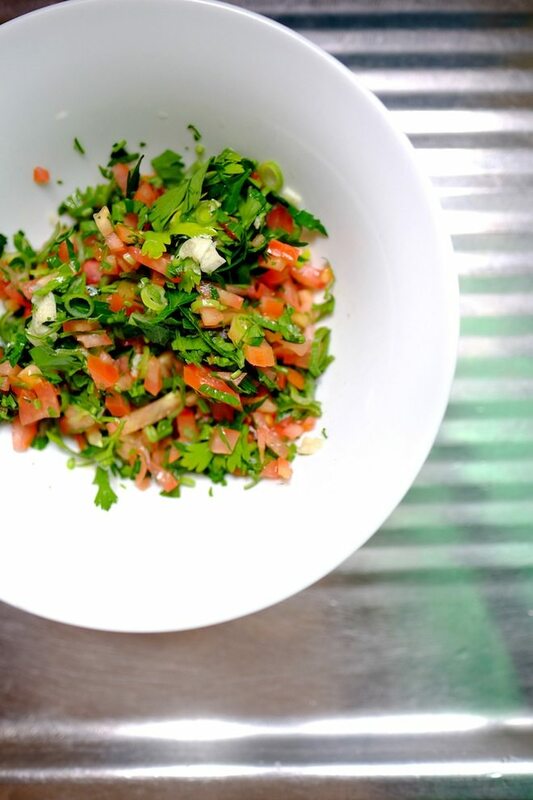 The quality of ingredients is equally fantastic. Market fresh vegetables, quality meats (I received “single origin” chicken? ), pre-mixed spices, and I’m sorry to keep ranting on about this, but well considered portions to minimise waste and increase fridge real estate. Anyway, you get the idea. 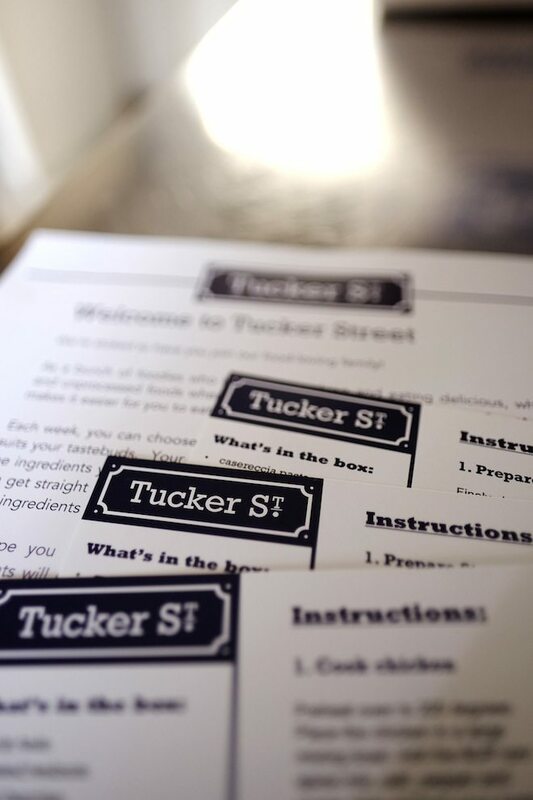 If you like to cook but you’re too lazy/busy/mostly lazy to go shopping every day, give Tucker Street a go. The food was great actually. I had reservations when I first opened the package but it’s actually very easy to cook and there’s minimal prep/cleaning up. The ingredients were all pretty top notch. 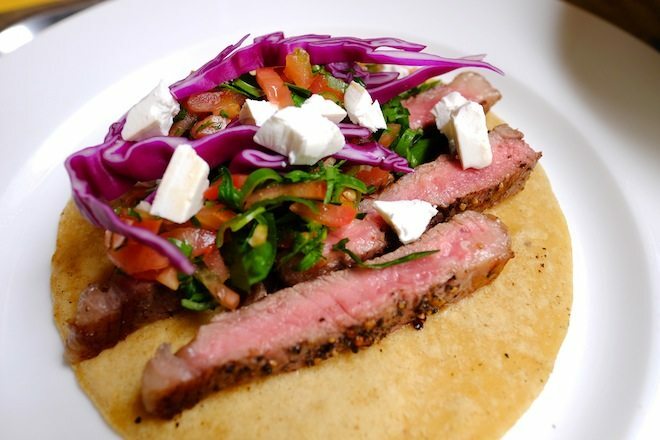 I had 3 recipes, Steak Tacos with Feta and Salsa, Sausage pasta with Broccollini and Spiced Chicken on a Kale salad. All came out delicious. Words and images by guest contributor, David Shen. Consciousness: Tucker Street is an extremely conscious business. 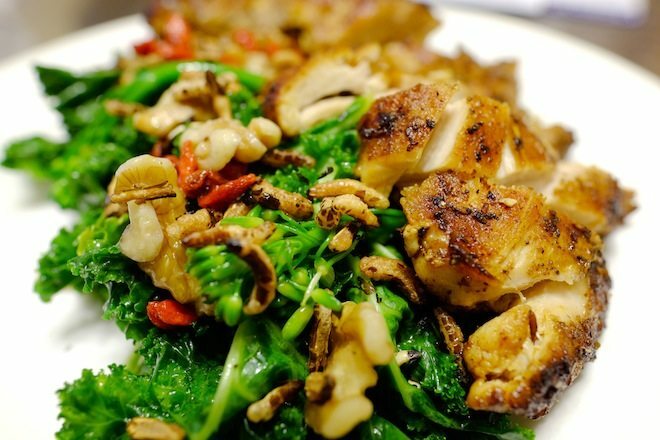 They use organic and seasonal produce sourcing from local farms where possible and always using free-range poultry and grass-fed meat. 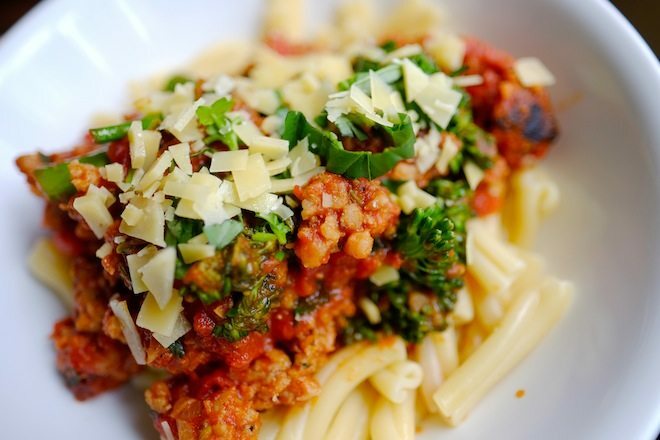 Due to the pre-portioned nature of their ingredients there is no food waste. Finally, their packaging is fully recyclable. This includes their box, recipe bags, recipe card paper, plastic containers, ice-packs and cooler bags. They even include recycling tip cards in their boxes! Disclaimer: Our thoughts and opinions are based on our experience only.